Copyright © Siemens Business Services 2006. All rights reserved. I Contenuti Digitali per SBS Italia IDC Innovation Forum 28 Marzo 2006. 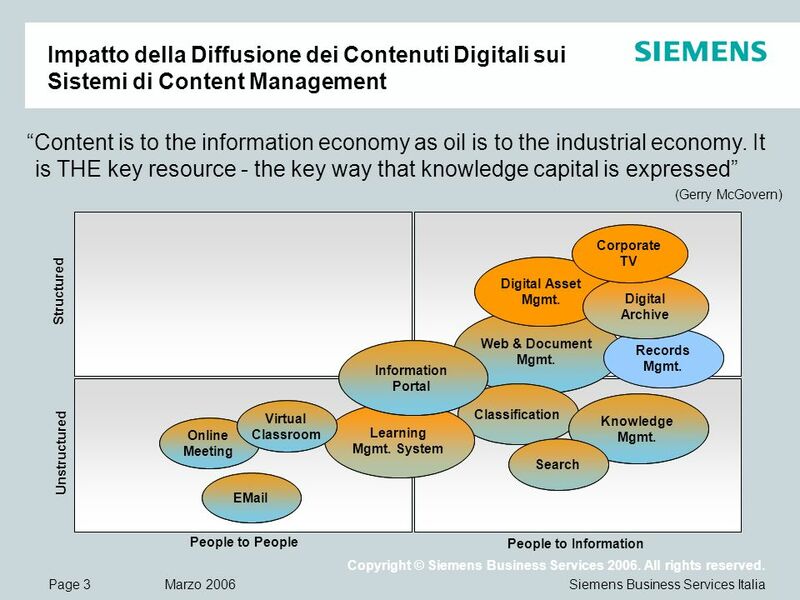 Download ppt "Copyright © Siemens Business Services 2006. All rights reserved. 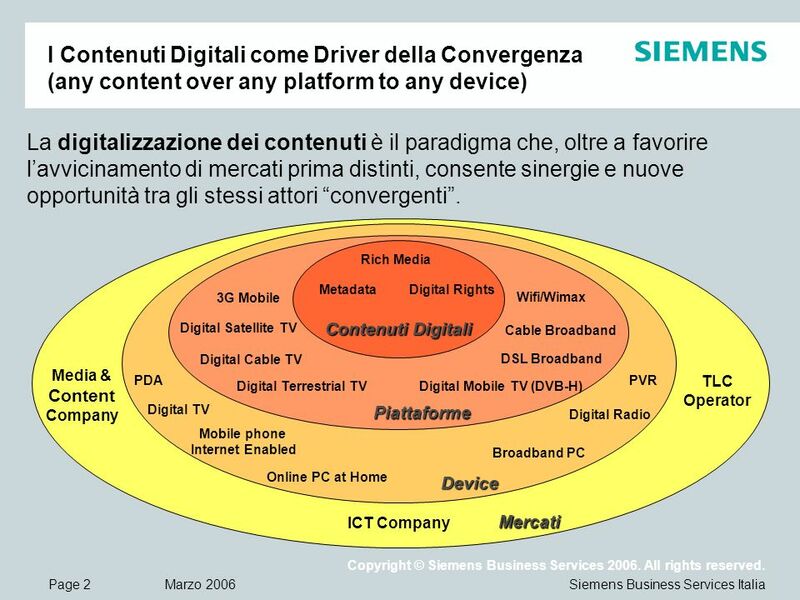 I Contenuti Digitali per SBS Italia IDC Innovation Forum 28 Marzo 2006." All rights reserved © 2006, Alcatel About Innovation in Telecoms Olivier Baujard, Chief Technology Officer Politecnico di Milano – May 10 th 2006. Pervasive Wireless Solutions © Copyright IBM Corporation 2004 IBM La Gaude Smart Home / Intelligent Building Jean-Michel Corrieu IBM Europe Technical Manager. Intel Transforming Education through Technology Name of Presenter. 5.6. Examples of IPTV convergence A. Web TV Definition A system and/or process that uses television to access the Internet via a set-top box or a Built-in. Ray Ozzie Chief Software Architect. Applications and Solutions Cloud Infrastructure Services Live Platform Services Global Foundation Services Services. GLOSSARY OF TERMS BASIC TV MEASUREMENT TERMS TARPs – Target Audience Rating Points are also known as ratings and are an estimate of the size of a specific. Semantic Web workshop Semantic web and e-learning Bruno Brunelli Firenze, June 17th 2003 All rights reserved - © Telecom Italia, 2002 Telecom Italia Learning. Symantec Vision and Strategy for the Information-Centric Enterprise Muhamed Bavçiç Senior Technology Consultant SEE. IDATE Internet: Act II ‘ Patterns for the Digital Household’ Ghislain Lescuyer Executive Vice President Broadband Access Products Thomson. Printing & Imaging Update John Ritchie Intel Staff Engineer.